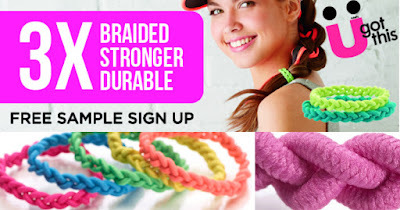 Through August 31st (or while supplies last) you can get a sample of Scunci's new Braided 3x Stronger Durable Hair Ties! You'll need to also subscribe to their mailing list when signing up for your sample ~ make sure you confirm the email they send you too! This offer is through Facebook and good for US residents only. Click on the picture below to request yours!